Open or create different types of archives"
Structurally designed for ease and speed, this is a top notch compressing and archiving program. It allows for a potpourri of compressing and archiving formats than any other. It’s 8.0 version has it’s own format known as “EGG” which allows for total Unicode support and good ratio in compression. These are just a few of the supported formats. 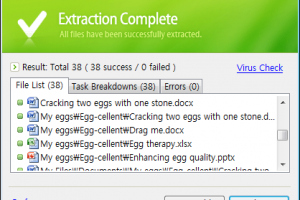 EGG is the file extension of this archiving software itself. It also gives users the opportunity to create EXE self-extracting files, enables encryption of files with AES-256, divide files for a smooth and free flow transfer, antivirus software integration, enables tasks automation with command-line functions from ALZip and many more features. 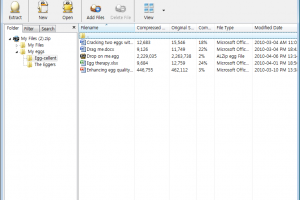 The ALtools free PC utils family have in common the lovely intellectual characters which is a great addition and not only limited to IT pros, and can also be used by children. ALZip is licensed as freeware for PC or laptop with Windows 32 bit and 64 bit operating system. It is in compression category and is available to all software users as a free download.